The Minister of Communications, Barr Adebayo Shittu, has debunked claims that he sanctioned the increase of price of data by telecommunication companies in the country. 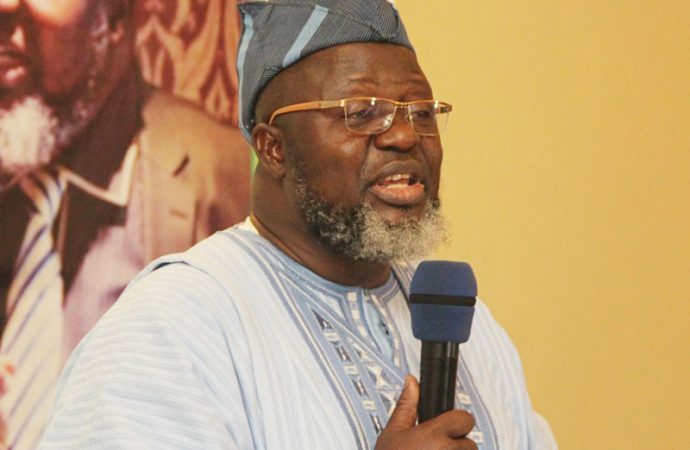 The minister while answering questions from journalists in the state, said the Nigerian Communications Commission (NCC) had the prerogative power under the law to do so. The minister disclosed that he learnt of the increase just like common man on the streets, but revealed that the proposal on the increase dated back to 2013. He said the issue was suspended over some issues but stated that it was resuscitated because of the current economic recession, which he said is taking toll on the finances of the telecommunications companies. “By law, it is the NCC which has the power to regulate, to license, to also provide in a way frequency and all of that. The ministry does not have any business in issues of regulating the telecom industry. “So when the NCC wanted to increase the so-called data issues, they didn’t take permission from us (Ministry) and myself. So, I heard it like any other person in the society heard of it. But because the reason for all this is that the Nigerian State has failed in the agreement they had with the telecom service providers. “They promised to provide them adequate power supply and security but all are not in place and they are spending a lot to provide them by themselves. Also the problem of right of way is involved with the high tax government and land grabbers are collecting from them. “As a government, we must weight the interest of our citizens against the interest of the operators. Otherwise, if it becomes unprovable for these companies to operate here, they will simplify pack and go. So, we also need to be considerate about their terms which we are not meeting. “As a government and a ministry, we have neither supported or oppose the proposal. what we are saying is that NCC is a regulatory body, who have the manpower, technological wherewithal to decide, and when they take this decision, we must try to respect their expertise. “This is because the Buhari government is at pains, if Nigerians are in pains. Government would not want to do anything that will bring pain and hardship to Nigerians, but again government must also face the reality that we are in a reality where you do not throw the baby away with the bath water. To create a situation where Nigerian interest at the end of the will not be jeopardized,” he said. He however urged Nigerians to come up with the reality that the companies are profit-making ventures, and which have also contributed their quotas to the Nigerian economy in recent time. He therefore appeal for mutual understanding from Nigerians, operators and the NCC in reaching an understandable conclusion on the matter.